People in business may hope to make a sale the first time they meet a potential customer. But studies show that’s usually not the case. More sales are made when the business has contact with the prospect for the fifth or twelfth time. Persistence is key and it looks like it pays off. If you follow up correctly and at the right times, you are more likely to convince the buyer that you are a trustworthy business that cares about their experience. For your phone service needs, check out RingByName. Their system makes it possible to know who called every time. What’s more, it enables you to return calls instantly. As a bonus, callers get a ‘we know we’ve missed your call’ email for yet another reassuring customer touch point. 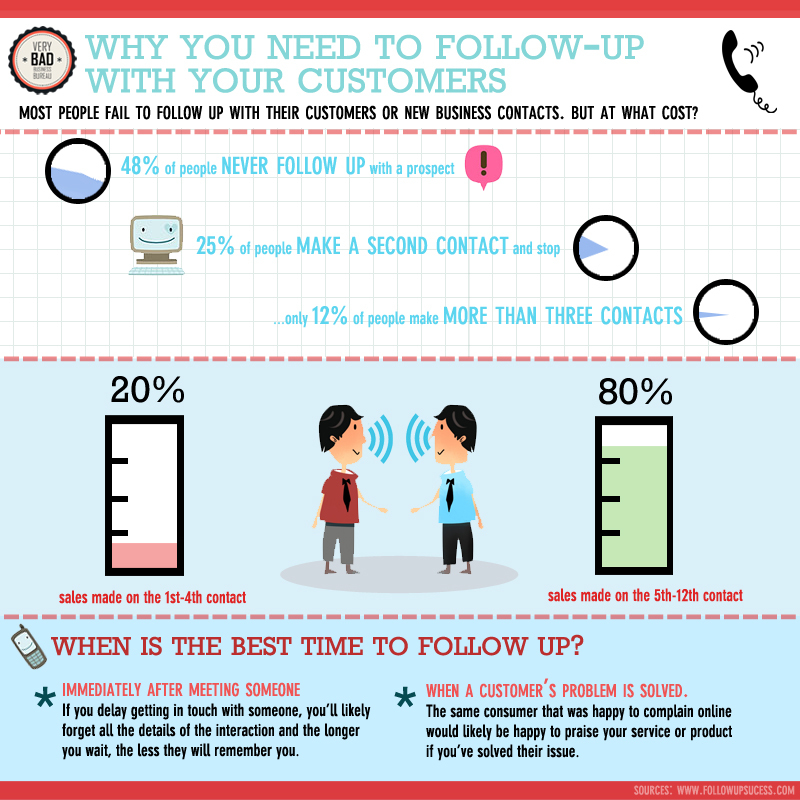 Meaningful communication is crucial for your business to succeed, so make sure to follow-up! ← Lesson #17: Think Outside the Box. But Not Too Far Outside.